Here's my recent build that I.. uh.. splurged on. :P I originally tried to build with the Phanteks ENTHOO EVOLV Shift but my old 1080 Ti FTW3 Hybrid did not fit, so I changed it to this H200i. I actually like it much better since I was able to match white on white. I currently have the black version of the RAM, but I have the white ones on the way and will be returning the black ones. Building in this case was quite easy compared to the Evolv Shift. My previous build was in Phanteks' old Evolv case, so this was basically a smaller and upgraded case. I really like the included fan/rgb controller (CAM), although I wish I didn't have to log-in online every time I turn my computer on.. I swapped out the X52's fans for the SilentWings 3 (high-speed on top, regular on the bottom) and the 2080 Ti for the high-speed version. The upper case fan is the regular SilentWings 3. On idle, it is inaudible. Under load, going up to 2200 RPM makes it a bit more audible, but easily masked with whatever my speakers are outputting. I actually also ordered a custom made white MSI backplate for my 2080 Ti, but due to me not doing measurements, it does not fit. The included backplate of the 2080 Ti already barely fits, lol. EDIT2: Just installed the Vive Wireless Adapter into the m.2 slot in the front of the board and was able to fit the adapter into the back. Works great. Does great and has RGB. The included fans are quiet but not as quiet as the SilentWings 3. I originally got it for the RGB (don't judge me..) but that's practically useless. Does fine and has lots of features. The AI overclocking raise the voltage too much, so I manually OC'ed. Great performance and has amazing RGB lights. Had this for a while now and no problems as the main OS drive. Fast and reliable. Stores most of my Steam games. Had this since my last build; good storage for my Plex, but I plan on removing this for an external drive that's probably around 8 TB to allow more airflow in the case. Sometimes clicks/grinds, but it's rare. Performs amazingly, but the included fan was too loud, lol. The tubing pisses me off since there is no CableMod to make it white.. and who uses non-braided tubing nowadays anyways.. the 1080Ti SeaHawk had braided tubes..! Looks good and extremely clean to build in. I really love the white.. I actually got the "White 2018" version. After reading reviews online, thought it would be more quiet, but it is a bit loud. Super quiet for the performance. Has great performance at 2200 RPM as well as the original version's quietness at <1400 RPM. 34 inches. 3440x1440. 120Hz. G-Sync. Need I say more? I just wish it was 144Hz, but well worth the trade-off. Pretty quiet and originally felt a little mushy, but I ended up liking it a lot. My last board had MX Browns so this was a change. Got this to match the G560 and G900.. Lasts 3-5 days depending on usage. Has RGB. No lag. 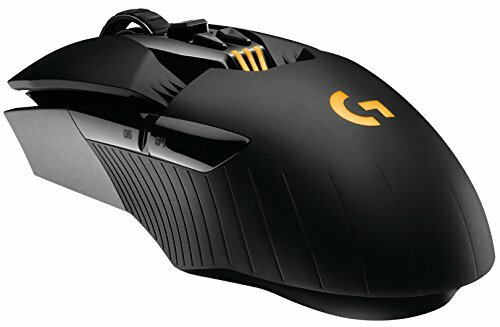 Great mouse. Really awesome sound and RGB effects. Lightsync with ScreenSampler going across my Logitech devices is actually very immersive and amazing. Actually worked great! I'm not sure why, but I tried paste and it would keep overheating, probably due to me improperly remounting the cooler. This also guarantees easy upgrades/swapping and does not damage the cooler or the CPU. I hope this gets featured because wow, is that a clean build. Even the curvature of the PSU cables is so clean. So so clean! NZXT seems to produce the cleanest builds, and this is no exception! Hope you enjoy every second of using it! 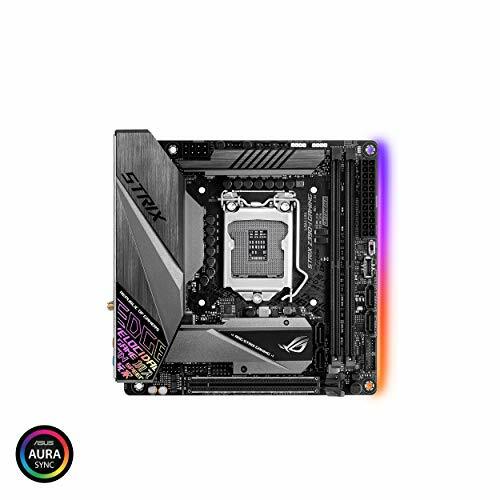 You should set the RGB color on the liquid cooler to white. 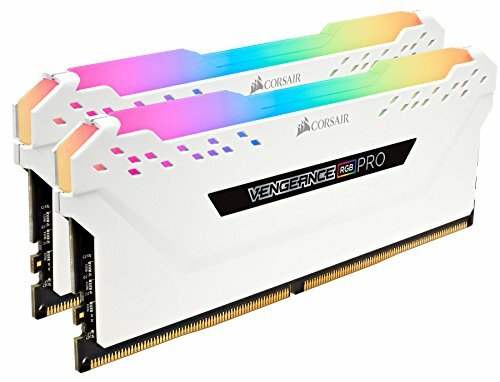 Why didn't you keep it white for the white build? I added the white one! I just wanted to show that it was also RGB capable haha. Nice! Any overclock on the i7-9700K?? Yes! 5.2 GHz stable under Prime 95. Honestly, might dial back to 5.0 since 79C is a bit hot. That's awesome. 79C isn't bad. You still have tons of headroom before thermal throttling. 100C I think. My 8700K (6C/12T) OC'ed to 5ghz scored 1,644. My 9600K (6C/6T) OC'ed to 4.9ghz scored 1,172. My i7-5930K (6C/12T) OC'ed to 4.4ghz scored 1,288. Feels like you are ballpark. Oh ok. I was just reading some reviews and people were getting like 1500 on stock settings. Thanks! Vira (summer ver) from Granblue Fantasy. Thank you! CableMod Basic Extension kit from Amazon. Perfect monitor setup. I love it. How did you set up your Logitech G560 Speaker along with your SteelSeries headset? I was looking into getting those same speakers and the Arctis Pro Wireless headset and I saw you had the Siberia 800's which are similar and I was wondering how everything would be routed. They're both USB, so just change the output manually when you need. I have the G560's set up as default and Siberia as default communication device. Last question, will the dynamic lighting on the G560’s still work if the sound is switched? Screen sampler will still work. The dynamic lighting to the audio will not work if the G560 isn't outputting sound, but it's too epileptic anyways IMHO. Attempted a white build myself, wasn't as white expected. CableMod AIO Sleeving Series 2 (make sure you get series 2, since series 1 will not work). damn, my r9 380 card should be in a museum. Nice rig. What is the LED wall thing, and where did you get the anime figure? They are called Nanoleaf Rhythm! The figure was from Hobby Search. Woah, you picked a lot of parts that I was thinkin of picking, though I can’t seem to decide with Intel’s Core i7-8700K and 9700K, it kinda bugs me that the 9700K only has 8 threads with its 8cores, where as the 8700K has 12threads with its 6cores. I’m GUESSING the 1thread per 8cores is faster? I’m not extremely familiar with CPU’s so what makes the 9700k better? and how is it? Yea I had the exact same thoughts. The 9700K has 2 more real cores, vs the 8700K. In gaming, the higher clocked 9700K with more real cores should be the one that triumphs. I mainly game and watch Youtube/Twitch, so I just thought I would get the newest version. The threads are not utilized in games AFAIK. The 9700K has been great so far! No complaints from me. Yooo, thanks for the reply. Helps a lot and means a lot! Kudos on a great looking build! There's no shame in splurging on RGB :) . If it's what you like and if your wallet can afford it then go for it! You may have given me some inspiration on my next build. Congrats on getting featured! Why is the water-block not mounted right side up? No room. The RAM would be in the way of the tubes. 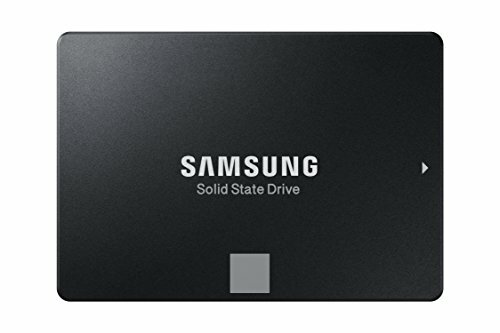 I like to keep my games stored on SSDs and have a secondary HDD storage for my Plex server for movie/anime/TV show/etc storage. I am actually going to take that out and move everything to an external 8-10TB in the future as well.. Very clean build! You should consider a dbrand skin for the Switch. Ohh I didn't know dbrand had Switch skins. Will definitely give that a look. Amazing build! I've always been amazed how small of a system folks like you can create, but still keep a clean aesthetic. I have to ask, where did you buy your desk from? Or did you build it? Lovely build, I hope you get years of pleasure from it. Hi, really nice build! Both looks and power! I’m actually thinking about doing a similar build and hope you can answer some of my questions. How close is your GPU to the radiator? Did it fit by itself or did you have to change anything around? I’m thinking about getting the same case and motherboard as you with a EVGA GeForce RTX 2080 XC (10.6 in). I also want to get it liquid cooled with the Kraken X52. Thanks! There is still plenty of space with the radiator and fan both in the case. I did not have to change anything. My card is about 10.5 in, so yours will work just fine. If you want a bigger card (like my old 1080Ti FTW3), you would have to move the fans of the cooler to the outside of the case, forgoing the dust filter. I have the same Mobo and the Kraken x72, I am wondering if you had any trouble getting the RGB to work on the Kraken? if so, what did you do to get them working together? I don't have RGB on my Kraken. Plus, the fans are intaking from the outer side of the radiator, so RGB fans would be hard to see. I assume that the x72 has the same connectors as the x52. Need to plug in the USB 2.0 header. I'm using the NZXT internal USB hub for more USB 2.0 connections since my ITX only has one header. 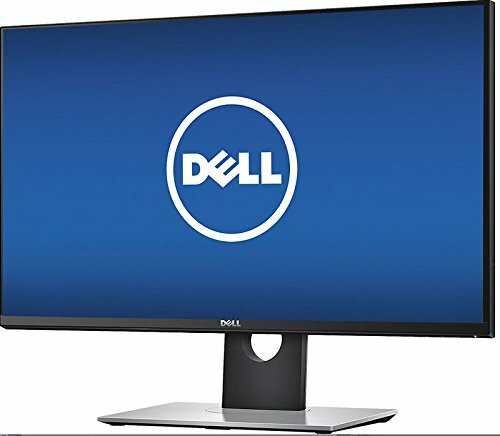 What Monitor Arms are you using? Yes, fellow 9 year old. -Honestly though that is a nice build good job man! Very nice and clean! Congratz on the setup, looks great! Hmm mine attached fine. As far as I'm concerned, the 120mm fans have all the same housing size. Where to get the white cables and how many do I need? Amazon! I just got one pack. Nice build! Why did you only install the high speed fan on the top of the AIO? Why not high speed on both? I want to ask one thing: Where did you put your 3.5" drive? Did it fit in it's place on the bottom behind the radiator, if not where did you find place for it? I'm planning on building in the H200i whit radiator at front but I want to be sure if it fits, it looks really tight. It fit on the bottom of the case, in front of the PSU. 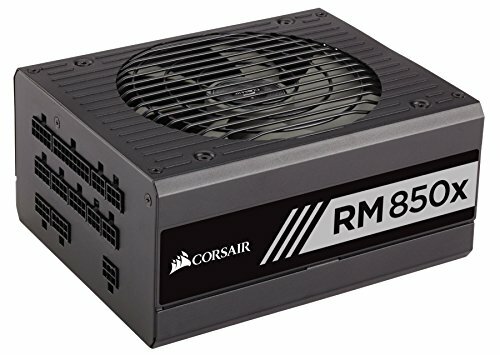 It'll fit if your PSU and the cables don't take up too much space. Alright you literally took my dream build and did it. Mine would be with Ryzen and a 2070 FE but like you used the same UW monitor and everything. Damn this is clean asf. Amazing work. I had a question: how did you connect a PCIe card to the M.2 slot? I can see some kind of PCIe extender. Is it working with any M.2 slot? How much does it cost? Thanks for the steer! It looks complicated to find in Europe. I'm living in France at the moment. I might just go for an external sound card then, might be easier to install but less fun :D Cheers, G.
Yea but too much of a hassle, and that cheap looking water cable would probably look bad in white. Late comment, but what desk is that? Hi Amazing job on the case!! I was wondering if you could tell me where you got your cables from ? I would love some blue cables since I am building a blue case. I got em from Amazon! Just type "blue cablemod" in Amazon, should be able to find some. 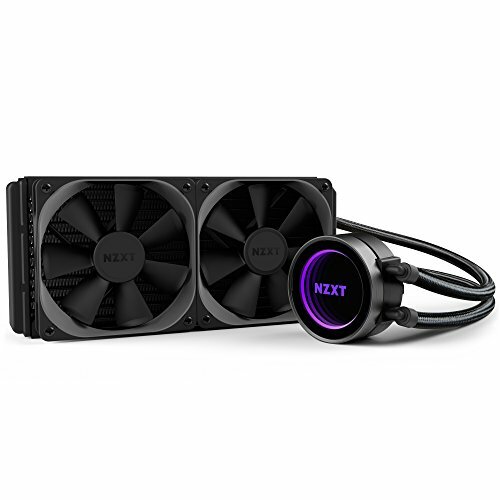 How much clearance do you have between the rear radiator fan (for the graphics card) and the NZXT Kraken cpu block? I’m trying a similar build and having clearance issues, how did you fit it? About an inch? My GPU is pretty small. I had a 1080 Ti FTW3 previously, and had to move the radiator outside the case (where the filter is right now). Hey I saw in the comments what CableMod your using but do you think you could link me where you bought them? 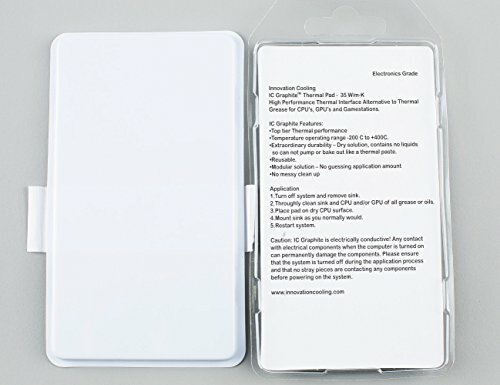 Ive checked everywhere and i cant find the White series 2 sleeving kit version anywhere for sale. I hope you still respond to comments on old posts. Yeah, i saw that website but all I had to do was click store icon at top right to actually buy it. I just didnt see it the first time. Also i have another question. What are those little clear clips you have connecting your white cords together? And any recommendation of nice white wires to use in a setup like yours? The clips come with the Cablemod white cables. Hows the airflow? I will be using this same case and im planning on water cooling my cpu and gpu by using the NZXT g12, Kraken x52, and Kraken x42. I assume you can kinda imagine what that would look like. Im worried that the airflow will be bad. Are you able to assure me that it wont be a problem? Airflow is great! I can't assure you anything since your set-up will be different from mine, but considering I have a 9700k and 2080 Ti, my temperatures are very good. any cheaper versions of your lights on wall ? Maybe used? I tried looking for cheaper alternatives as well.. I swear that I thought nobody else noticed Pewds. Lul.